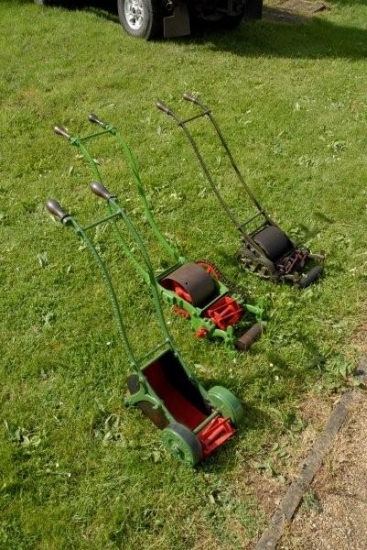 Small hand mowers are always popular with collectors. These three are, from front to back, a Follows & Bate Climax, a Green Silens Messor and a Shanks Caledonia. All are six inch cutting width.